Xperia Play - 'cooler' than the iPhone? 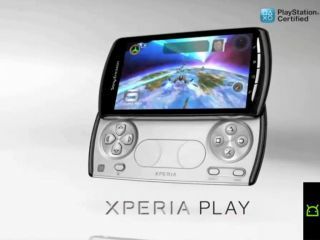 Sony Ericsson's forthcoming new gaming mobile, the Xperia Play "is cooler than iPhone" and "probably not as expensive" according to Sony Ericsson exec. But then, of course, David Hilton, MD of Sony Ericsson UK would kind of be expected to say that! Consumers will decide whether or not Sony Ericsson's latest phone will or will not be as cool as Apple's iPhone when the Xperia Play finally arrives on the market this coming April. The UK exec recently said that the new Xperia Play was likely to cost "the same or probably a little bit less" than Apple's latest iPhone 4. "The first thing this does is put Sony Ericsson firmly back in the game of smartphones," said Hilton. "It puts our smartphones out there with the latest Android technology, the benefits of that coupled with the best of Sony technology that make using a Sony Ericsson much more satisfying, much more enjoyable and frankly much more cool than using an iPhone." Yet gamers are really only wanting to know more about Sony's PSP successor, the NGP ('next generation portable') right now. "If someone wants the ultimate gaming machine and is prepared to wait until later in 2011, then the NGP might be for them," the Sony Ericsson exec admitted. "But they would have to carry another smartphone and many people don't want to do that." You can pre-order a sim-free, unlocked Xperia Play right now from Play.com for £519.99 which should arrive on your doormat on 28 March.